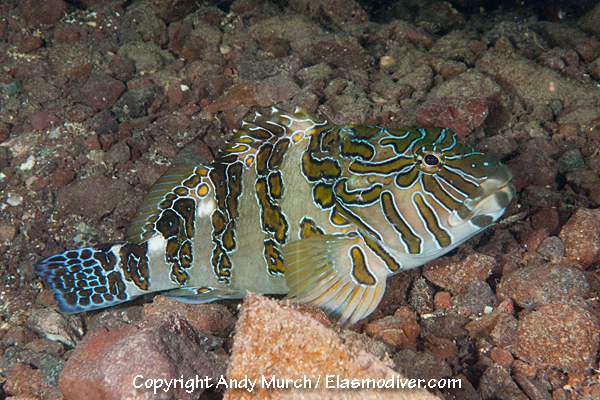 The Giant Hawkfish (Cirrhitus rivulatus) is the largest member of the hawkfish family. It can grow to a maximum size of 60cm and weigh 4kg. 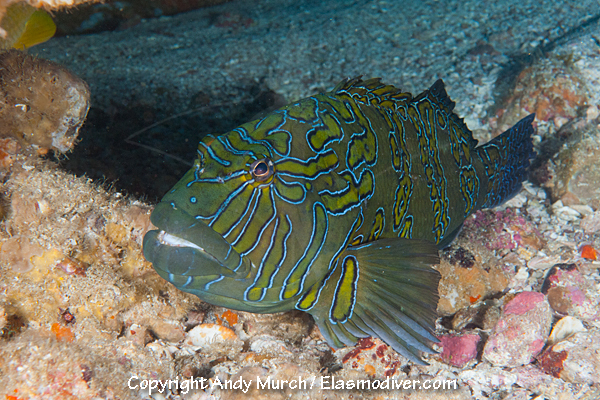 These Giant Hawkfish pictures are available for commercial licensing. For further information regarding usage please e-mail Elasmodiver. All of the images on elasmodiver.com are copyright protected. No unauthorized use of these Giant Hawkfish pictures is permitted. Please contact Elasmodiver for further information.